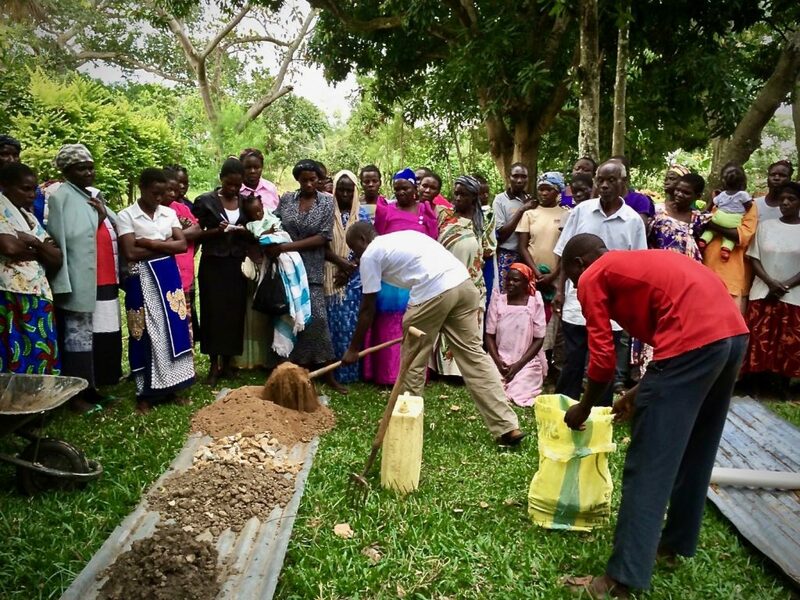 Magalen Community Farming project (2015-2016) worked with 60 women subsistence farmers in Eastern Uganda who had no access to agricultural and irrigation schemes, or even the most basic skills or resources, to help fend for their families. 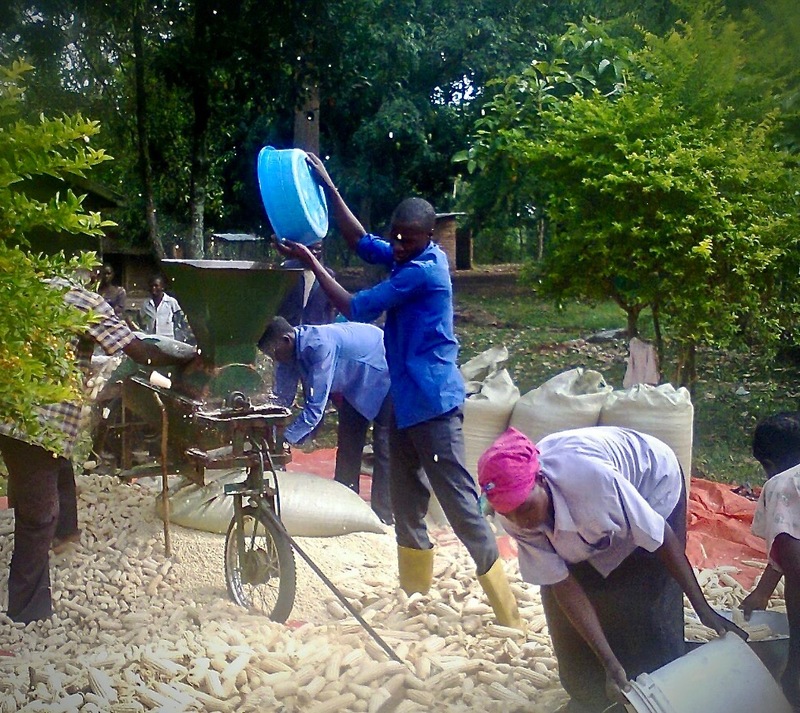 The primary project outcomes were to increase food security, household income and skills. The women were trained in clearing land, planting, managing pests, harvesting, drying, storing and selling their crops. 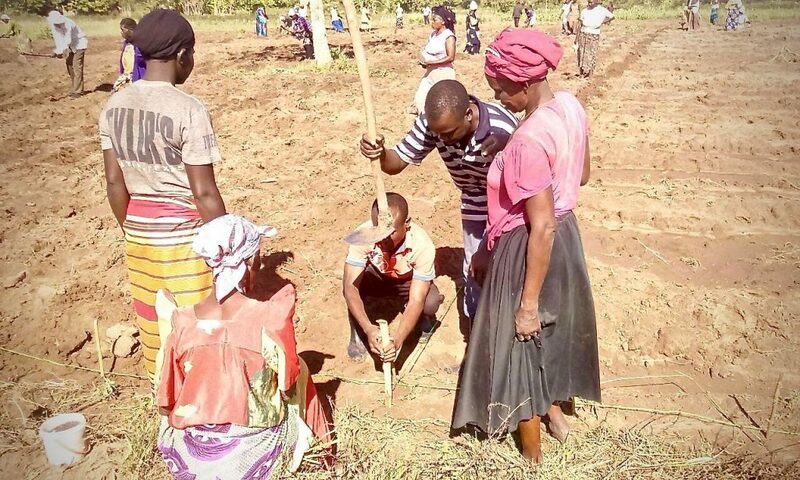 They were given plough support, seed, fertilizer and materials to plant 2 acres of maize, beans and vegetables each – an acre to sell and an acre to feed their families. Training was re-enforced with learning-by-doing at the practice farm, and the women had ongoing supervision and support throughout planting and harvest. 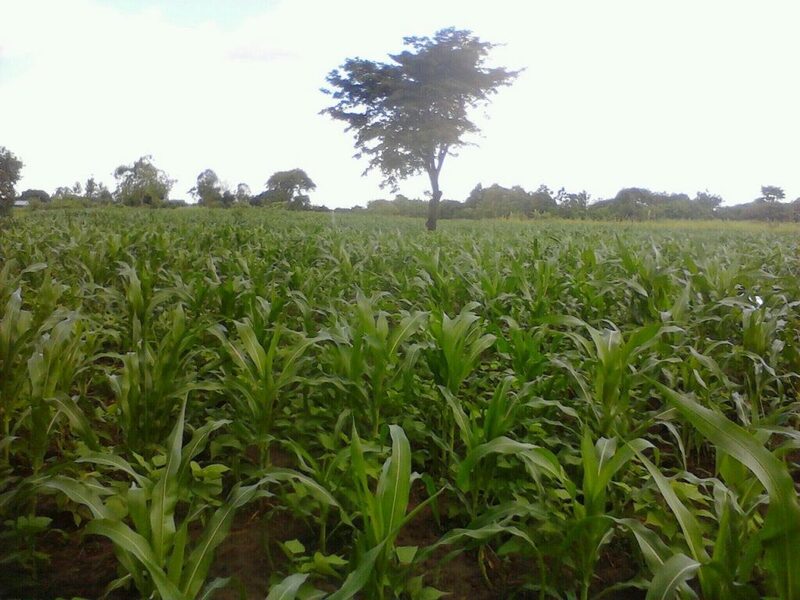 “… the maize is amazing… the gardens have become tourist attraction in the village. Even the owners themselves spend a lot of time watching and admiring their gardens. The Tank is getting water from the rain, it is almost full.. I thought I must share this good news with you”. Mr. Ojwang Gaster Willy Obboo, the sub-county Chief and Chairman, told us that the project is visibly transforming the community. The local government’s endorsement has increased the community’s confidence, and the project is viewed as a good model to replicate in the wider community. This was PFP’s very first project. As well as the direct benefits for the women, their 300+ dependents, and the wider local community, the project has given PFP invaluable learnings and insights to take into other projects in all aspects of the project life-cycle: from fund-raising to concept design, project planning, resourcing, management, delivery, partnerships, monitoring and governance. 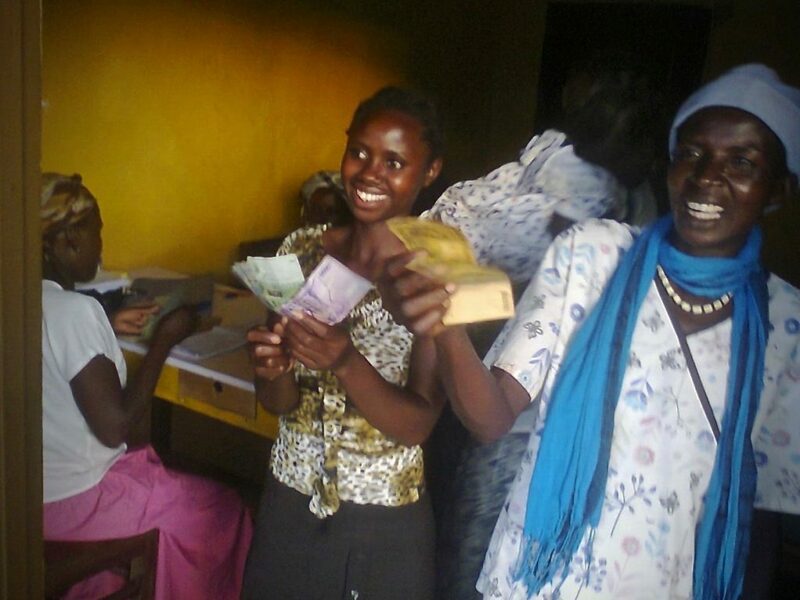 The results were 4-to 6-fold increases in yields; increased income and economic viability as evidenced by the surge in the women’s savings-scheme; surplus income or necessities; and the ability to use their crop as collateral to borrowfrom their savings scheme for new business or necessities like school fees or medicine. Increased income and the extra stock of food also means that the women can soon afford non-critical but essential items such as solar electricity and smokeless cook-stoves. The pilot benefitted 60 women farmers and their 300+ dependants, as well as the wider community. The local Government endorses the project. Sub-County Chief & Chairman, Mr Ojwang Gaster Willy Obboo, told the PFP pilot review that the project has visibly transformed the community, and asked to scale the approach to a sustainable food security project for Magola’s 5,643 school children. We had a wonderful time celebrating the success of this project and sharing in the positive outcomes. We were even given a goat by women farmers to kindly thank us for the support we had given them.